Sony just announced their smaller sized high-end Android smartphone in CES 2014 on 07th January 2014. 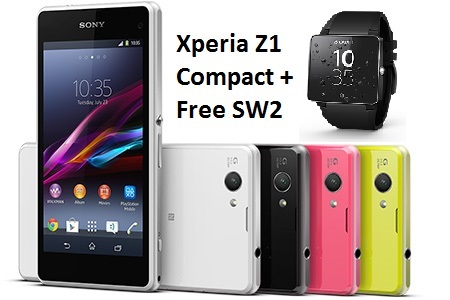 The Xperia Z1 Compact is a smaller version of Sony Xperia Z1 smartphone. Though this phone comes in a smaller size of screen but has the full power of its flagship device. The phone is available in 4 different colours; black, white, lime & pink. Sammobile leaked again the latest Android 4.3 build firmware for Samsung Galaxy S4 GT-I9500. This latest firmware I9505XXUEMJ3 contains Android 4.3 Jelly Bean. And Samsung is going to start pushing the Android 4.3 update for Galaxy S4 within couple of weeks. 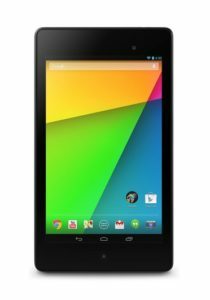 The latest Nexus 7 4G LTE is now available for UK customers for a price tag of £299. Google is offering free 1-2 business day delivery for a limited time. This version of the Nexus 7 2013 comes with 32GB internal storage and 2GB of RAM. Nexus 7 has definitely brought a revolution in tablet market. Great spec tablet at a very cheap price. 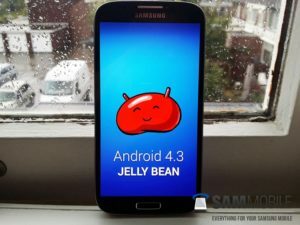 Android 4.3 Jelly Bean released just weeks ago for Google Nexus users. This is definitely a major update from Google. Brought a lot of improvements and bug fixes. In Bangla Font on Android 4.3 got a new look too with all other updates. But somehow broken and not displaying properly. But not a major issue. Thanks Google for the new font face. Found it on my Galaxy Nexus, but with Android 4.2.2 Jelly Bean running on my tablet working fantastic. Google recently announced the new Nexus 7 with Android 4.3 the latest OS. We were waiting for a long time to get info about this tablet. First everyone assumed Google is going to announce it on Google I/O 2013, but they didn’t. The company brought a revolution on tablet computing on 2012, made by Asus. The Nexus 7 they released and sold was the cheapest, fastest and the best 7″ (inch) tablet in the market. It was a very nice device for its price and performance, still not that bad compared to other 7″ tablets. The device got updated with a lot more performance.